You are a special consultant who is brought in only for the toughest of cases. A serial killer has been on the loose and has struck the first day of the month for three months in a row now. Interpol needs your help to find the perpetrator and bring him to justice. Your job is to compile the evidence that the police have gathered and figure out his 81-digit Galactic Positioning Number. Once we have that, there'll be nowhere he can hide from the long claw of the law. 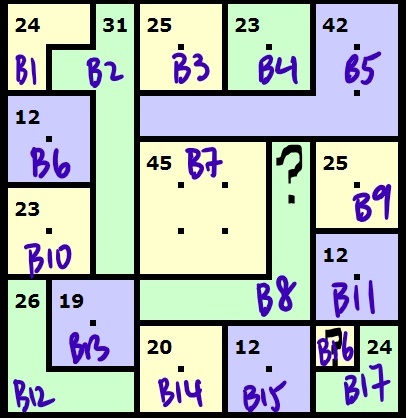 Each row, column, and cell of nine must contain the numbers 1 through nine with no duplicates. 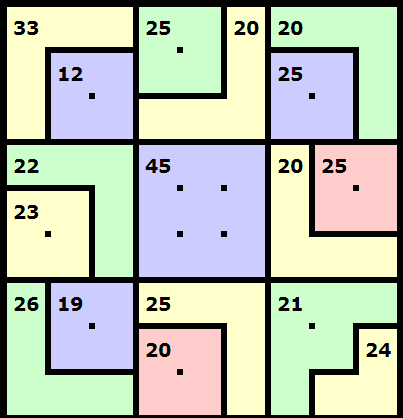 The sum of the digits in each colored region must equal the value denoted in that region. 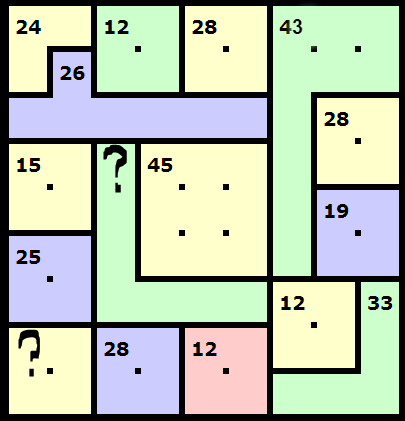 This largely follows the rules of Killer Sudoku, with the exception that a number can occur more than once within a single colored region. In this case, we know that all three of the grids will have the same solution. Due to budget cuts, some regions have unknown sums. For your final report to be accepted, you need to provide the completed grid in a image before the killer strikes again, January 1st. Good luck. 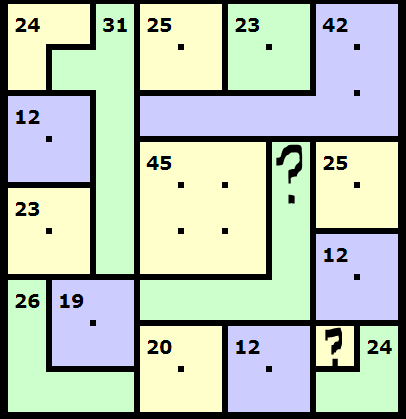 Hint: This hint combines the three puzzles above into a single grid with an identical solution. 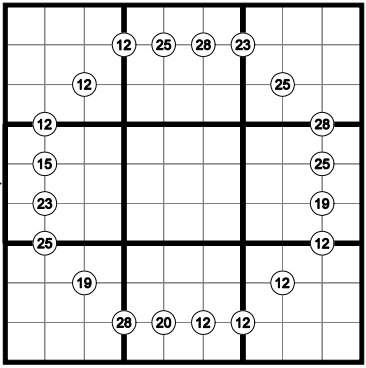 If you like the challenge of cross-referencing grids, don't use the hint below. 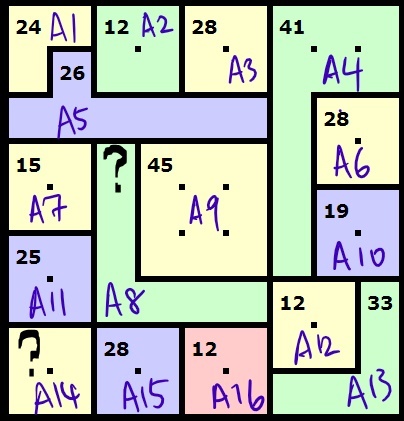 The cells adjacent to each numbered intersection must add up to the sum shown. The puzzle otherwise followed standard sudoku rules. 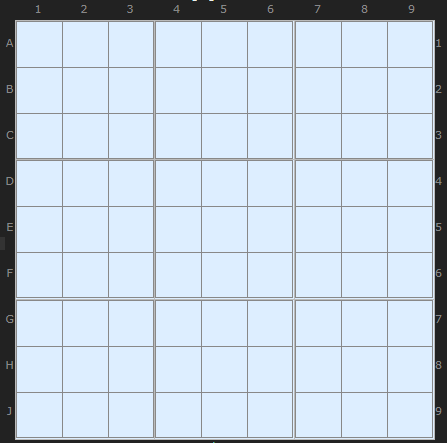 The answer to this sudoku should be identical to the challenge above. 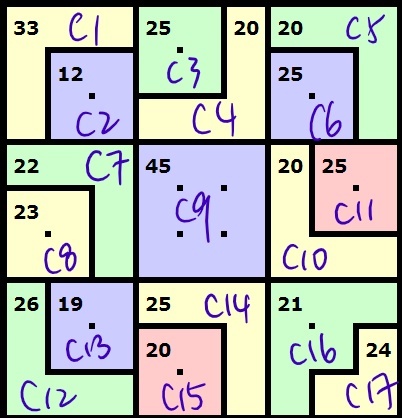 Also, (c,r) represents a grid, where c represents column from left to right, and r represents row from top to bottom.